Welcome to Gateway Capitol View! The exclusive age 55 year and older senior living complex Gateway Capitol View will showcase 162 units (139 one bedroom and 23 two bedroom). The rent for each unit will be subsidized through a Project-Based Rental Assistance agreement with the Atlanta Housing Authority. All units will be in a four story “U” shaped building served by elevators. The building’s attractive, modern exterior will consist of brick or stone complemented by hardi-plank façade. For the enjoyment and convenience of all residents, central common areas will include a community room with a fully equipped kitchen, fitness center, yoga room, business center with computer stations, arts and crafts room, interior gathering areas and laundry rooms. We will also offer a covered porch / picnic area and other green space. Resident activities will be ongoing and designed to meet the needs of the changing community. The site's best amenity, however, might be its access to public transportation. 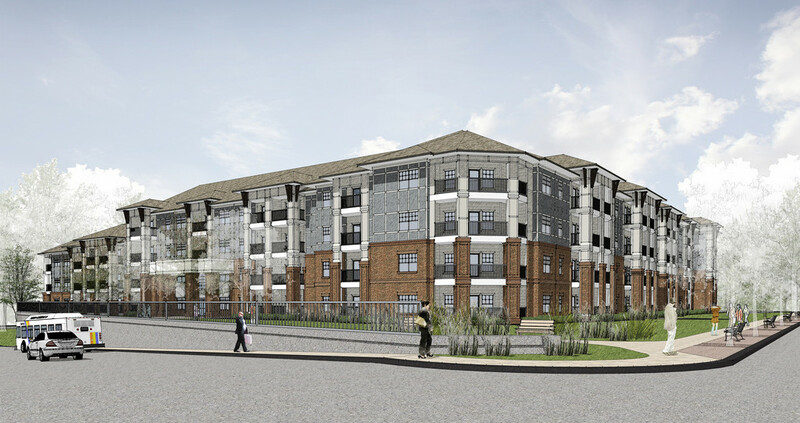 Located across the street from the Oakland City MARTA Station and within the Atlanta BeltLine Redevelopment Plan area, this development would help the 55+ age group gain access to multiple amenities and services throughout the City of Atlanta and beyond.